Flt Sgt Arthur Aaron were awarded Victoria Cross Medals for flying sorties to distant Italian targets. Of the RAF’s trio of four-engined heavy bombers in World War 2, the mighty Short Stirling was the first to enter service in August 1940. A total of 2371 examples were eventually built and flown by the Royal Air Force (RAF) before the type was finally retired in July 1946. From its first raid in February 1941, the Stirling was at the forefront of the British night bombing offensive against Germany. 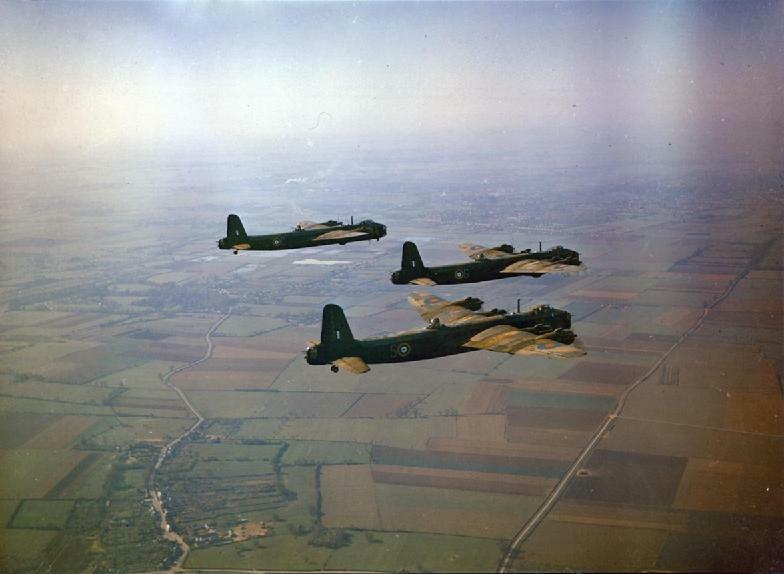 At the peak of its operational career with Bomber Command in 1943, 12 squadrons were equipped with the RAF’s largest wartime bomber before unacceptably high losses forced its relegation to second-line duties. Once the nights had begun to lengthen at the end of summer 1941, Bomber Command sent Stirlings from Nos 7 and 15 Sqns to northern Italy on Sep. 10-11 on the type’s first truly long-range operation. Their target was the northern city of Turin, and to reach it crews had to through the Alps. Five aircraft were lost on this raid, but none from among the 13 Stirlings dispatched. As explained by Jonathan Falconer in his book Short Stirling Units of World War 2, Italy was at the very limits of the Stirling’s endurance. With a lengthy flight across France before threading a perilous pathway through the Alps, or following the western route across Lake Geneva, passing near Mont Blanc, bomb-loads were pared back so that more fuel could be carried. Sgt Jimmy Morris, a flight engineer with No 218 Sqn, remembers when his crew visited Genoa on Oct. 23, 1942. ‘On a long trip like this you could not afford to waste any fuel’. Careful fuel management and engine handling were essential for a successful sortie, but with the poor height performance of a heavily laden Stirling, it was always going to be a challenge. ‘We started to climb over the Alps, which peak at about 6,000 ft, but there was no chance of getting the Stirling up to that height with the load we had on board, so it was a case of picking our way around the mountain tops at about 12,000 ft’. Others remembered the Italian trips for different reasons. In a last letter home before his death, Flt Sgt Kenneth , Chapman RNZAF, a pilot with No 15 Sqn, described the same operation to Genoa on Oct. 23 as ‘a long and cold ten-hour flight’. Italian targets were visited spasmodically by Bomber Command over the next two years until the final raid in August 1943, when 103 Stirlings were among the force that bombed Turin on the 16th/ 17th. The only Stirling to be lost on this operation was No 218 Sqn’s EH884 flown by WO2 Stanley Chudzik RCAF, which was shot down from 14,000 ft by a nightfighter on its outward journey over eastern France, crashing at Amberieu-en-Bugey. Only two survived. 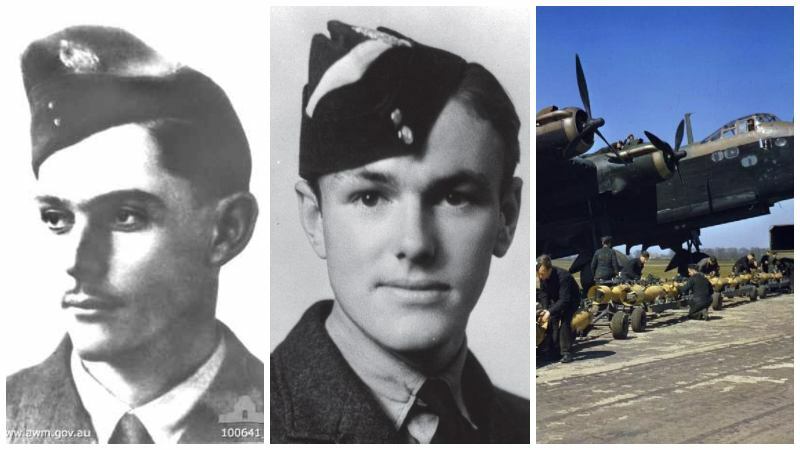 Both awards of the Victoria Cross (VC) to Stirling aircrew were made to pilots flying sorties to distant Italian targets. The first occasion was on the night of Nov. 28-29, 1942 when Flt Sgt R H Middleton RAAF was captain of a No 149 Sqn Stirling detailed to bomb the Fiat motor works at Turin. 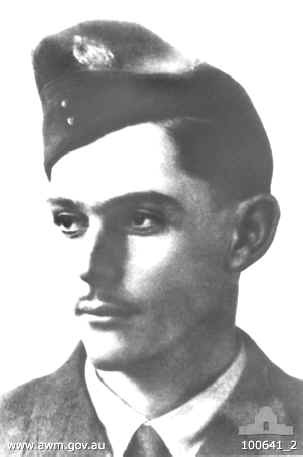 His aircraft was hit by flak over the target, severely wounding Middleton and his second pilot Flt Sgt L A Hyder. In very difficult conditions Middleton succeeded in flying the damaged bomber as far as the Kent coast, where he ordered the crew to bail out. Five were able to do so, but the flight engineer and front gunner stayed with Middleton as he steered the bomber out to sea to avoid crashing onto a populated area. He then ordered them to bail out (which they did, but they perished in the Channel during the night) before the Stirling plunged into the sea, taking Middleton down with it. His body was washed ashore on Feb. 1. 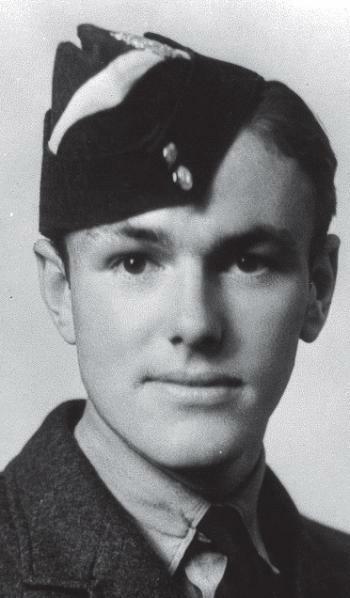 Middleton was the first member of the RAAF to be awarded the VC in World War 2. ‘I [had] a long conversation with young Middleton to whom I took a great shine, and was very impressed with him as a person and indeed his crew. I enquired if he had volunteered for Pathfinders, to which he replied that he had thought about it. I told him if he wanted to come he could join my squadron [No 7 Sqn]. He agreed, and in a few days he was in my Flight. By this time it needed reinforcing, as we had recently lost several crews. Nine months later, on Aug. 12-13, 1943, Turin was the target once again when the second Stirling VC action occurred. Flt Sgt Arthur Aaron of No 218 Sqn was captain of Stirling EF452 that was badly shot up outward bound over the Alps by another Stirling in what was believed to have been a case of ‘friendly fire’, killing the navigator and mortally wounding Aaron. In spite of his dreadful injuries, Aaron — who was flying his 20th op — directed his bomb aimer to fly the Stirling to North Africa, where, on the point of unconsciousness, he helped to crash-land the aircraft, thereby saving the lives of his crew. Aaron died from his wounds a few hours later and was posthumously awarded the on Nov. 5, 1942. Short Stirling Units of World War 2 is published by Osprey Publishing and is available to order here.